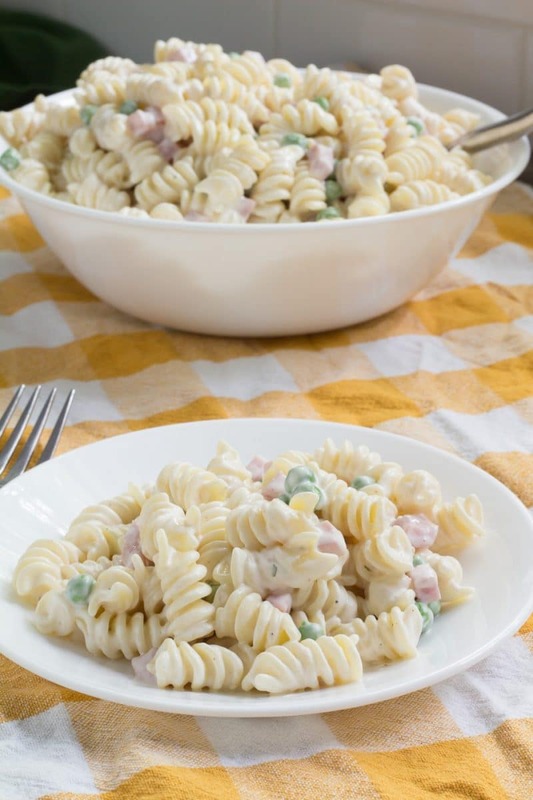 Copycat recipe for Ruby Tuesday Pasta Salad just like they serve on their salad bar! Easy to make with just a few ingredients. Using pre-diced ham purchased from the store shaves a bit of time off of the preparation. Diced and cubed ham are available at most major grocery stores and I find that it is actually cheaper than other types of ham. In addition, the pieces of meat are pretty darn even. We use this ham for omelets, pasta salads, and recipes that call for leftover ham. Make sure to test your pasta before draining off your hot water. Sometimes the opinion at a macaroni factory is different from mine. Even after an extra minute of cooking, I have had pasta come out of the water like it was half cooked. I always add an extra minute to every mass-produced pasta just for this reason. Rotini, penne, and bowties all seem to need more than an extra minute, so taste it first. Rinse the pasta in cold water once it has been drained. Rinsing pasta serves 2 purposes. 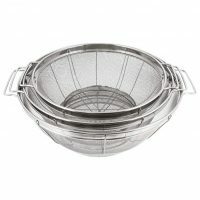 It stops the cooking process and it rinses away the extra starch. I know you are not supposed to rinse pasta. Starch has its place in pasta dishes, just not macaroni and pasta salad. 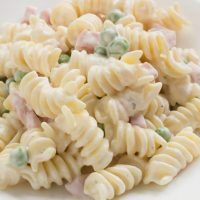 The key to moist and creamy pasta salad is to get rid of all that starch. The next key is to make sure the pasta is completely cooled. Hot and warm pasta will absorb the liquid. 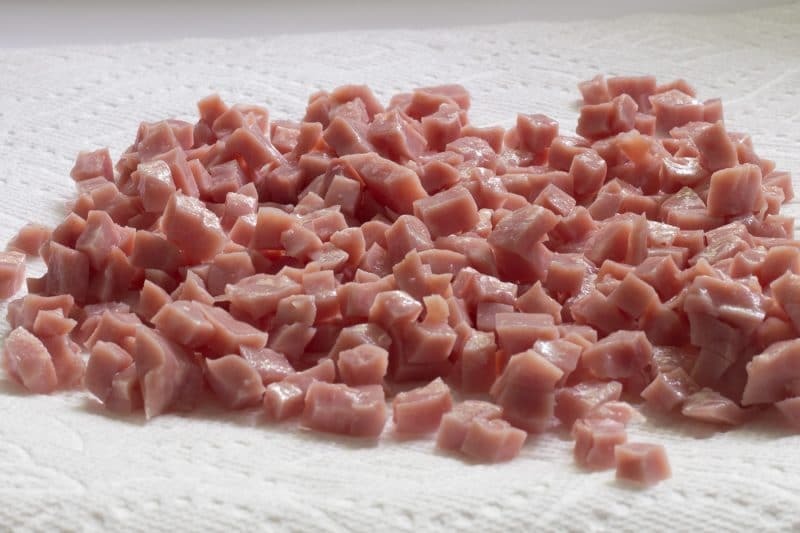 While the pasta is cooling, drain the diced ham on paper towels to remove some of the salty liquid that the ham was packaged in. I know we want the ranch pasta salad to be moist and creamy, but all this extra liquid will make it sloppy and salty. 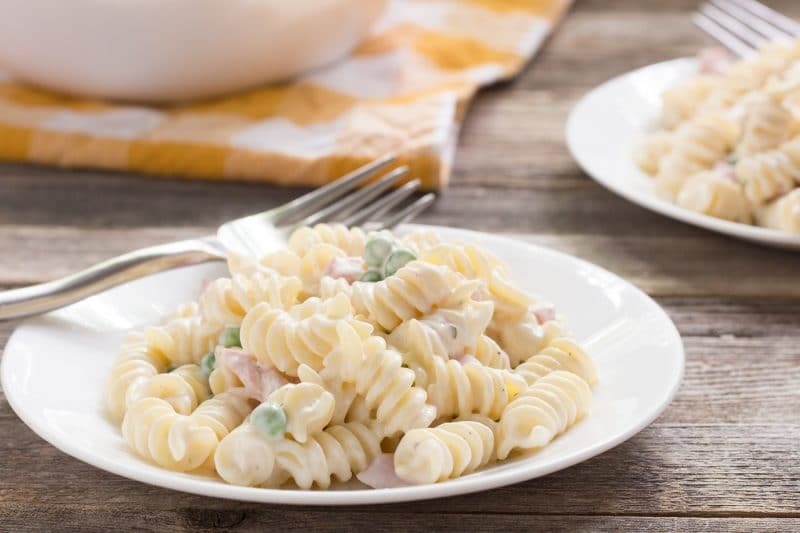 Even with removing all of the extra starch, you might find that your macaroni salad goes dry after sitting for some time. It tastes great since all of that flavor got absorbed into the pasta, but it won’t be quite as creamy. 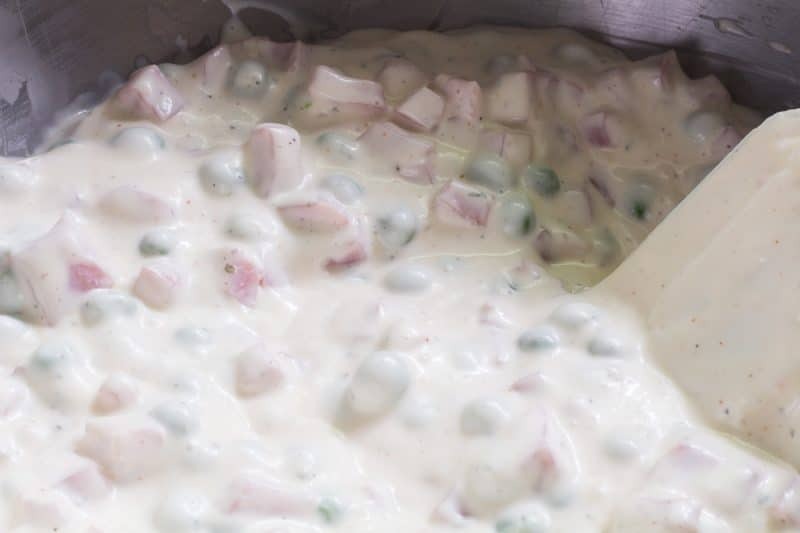 You can add a bit more buttermilk or mayonnaise to the salad. Or you can set some of the dressing and fixings aside for adding just before serving. Or, you could make more dressing mix to add to the pasta right before serving. When trying to achieve the same salad as that served at salad buffets you need to remember that those salads are probably hitting the buffet table almost immediately after mixing. There just isn’t room in for them to save mass amounts of pre-made goods in a commercial kitchen. It’s just as easy to mix it all up fresh as it is to add more of anything to the salad. Ranch dressing out a bottle can be used as a substitute for the buttermilk, the dry ranch dressing, and all but 1/2 cup of the mayonnaise. 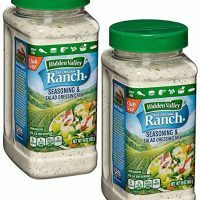 I prefer the flavor of ranch dressing when I have made it myself with Hidden Valley Ranch dry mix. I suspect most restaurants are doing the same. It’s cheaper this way. 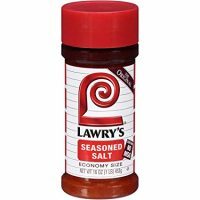 I buy it in the 16-ounce jar size since I use it for a lot. Especially during the holidays and tailgate season when I seem to be cranking out spicy pretzels and spiced crackers for entertaining. Rotini is my preferred pasta for this salad, but any shaped pasta would work for this recipe. Rotini just holds more dressing that a standard elbow macaroni. 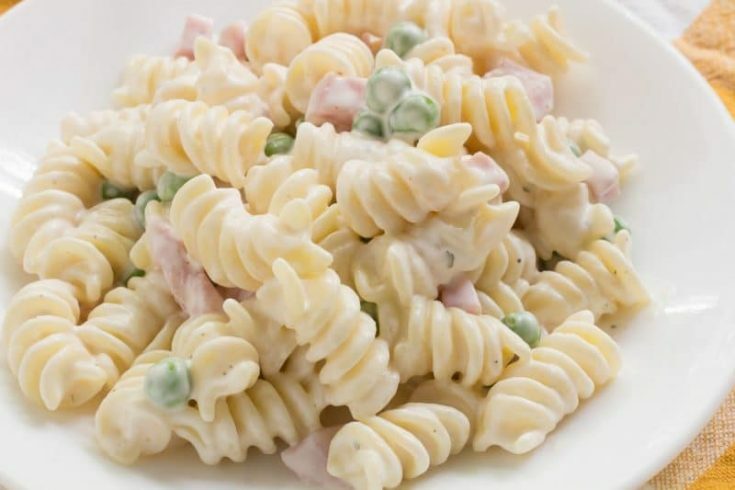 Cheddar cheese is not part of the original Ruby Tuesday pasta salad, but if you want to add it, about 1/2 of a cup should be plenty. But feel free to add as much as you want. I think that is the best part about cooking, there are really no hard and fast rules. 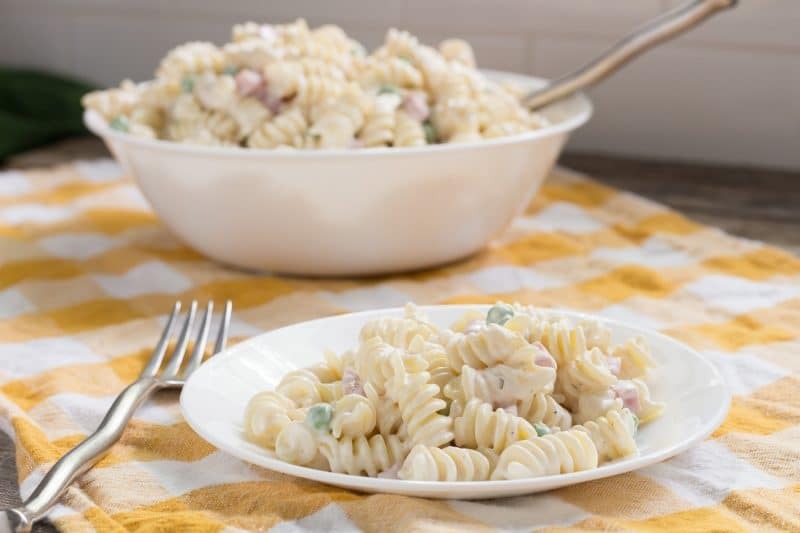 Ranch Pasta Salad just like Ruby Tuesday serves on the salad bar! Easy to make with just a few ingredients. 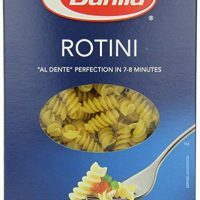 Bring a pot of water to a boil and cook rotini until it is just past al dente. 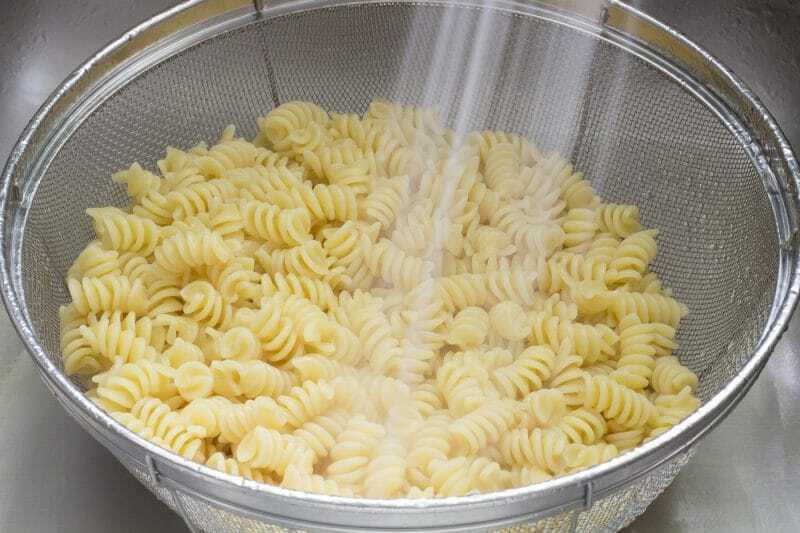 Drain into a colander and rinse with cold water until pasta is cool. Set pasta aside and allow to dry for about 30 minutes. While pasta is cooking, combine mayonnaise, buttermilk, ranch dressing mix, and season salt in a large bowl and mix until combined. Add in frozen peas and stir. The peas will thaw a but during mixing and will finish thawing while pasta cools. Add ham and cool, dry rotini and mix until well blended. Place into the refrigerator for at least 4 hours. 1/2 cup diced green peppers and/or 2 cups of grated cheddar cheese can be added. 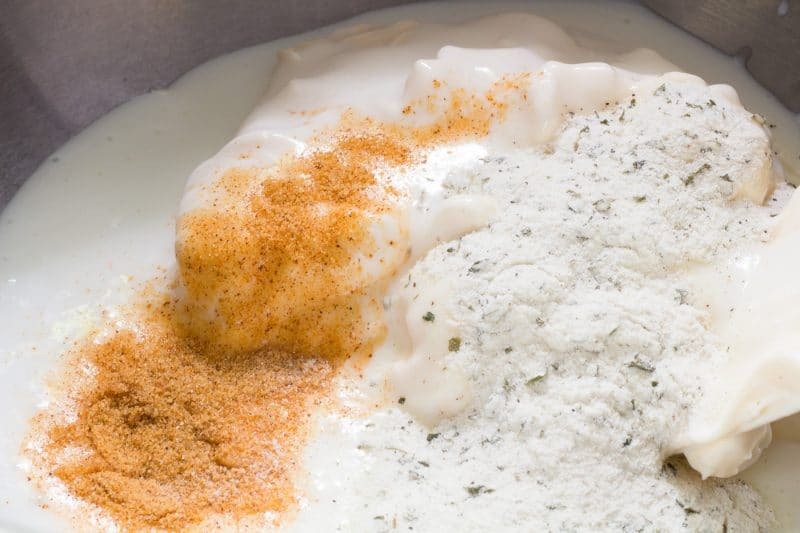 Racnh dressing from a bottle, along with 1/2 cup of mayonnaise can be used as a replacement for the mayonnaise, buttermilk, and dry ranch dressing mix. The flavor will be a bit altered. Thanks for stopping by and leaving us a 5-star review! I’m glad the recipe cured your craving!! Made this today and it came out really good ,our ruby Tuesday closed near me and im pregnant and craving their pasta saladdefinitely close to the real thing! Thank you! It is delicious! We have eaten more than our fair share this summer! This looks nothing like a salad, but I’m still curious to try the recipe ’cause it sure looks delicious!